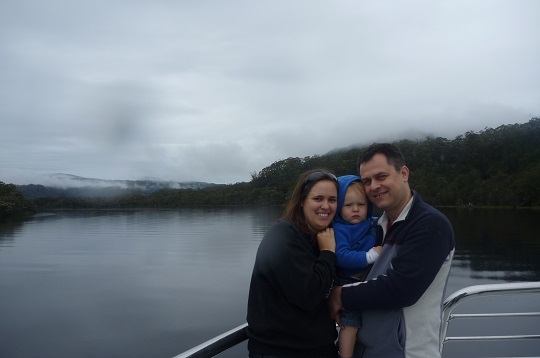 Finding things to do in Tasmania with a toddler was a bit of a mystery when I was there a couple of years ago. It turned out there were plenty of tourist attractions that were perfect for young kids but the internet didn’t help me out much, so I wanted to put together a good itinerary post so if you’re taking your young child to Tasmania soon, you will have some more ideas on where to go and what to see. 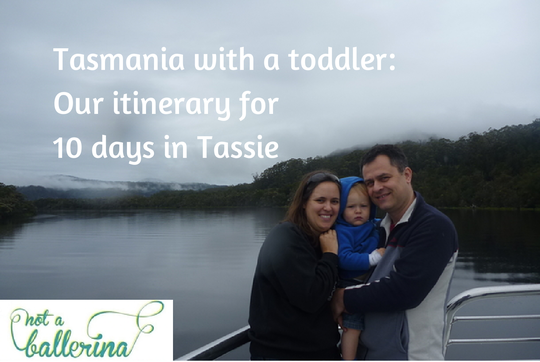 Because Tassie is a brilliant place to take a toddler, as it turns out! 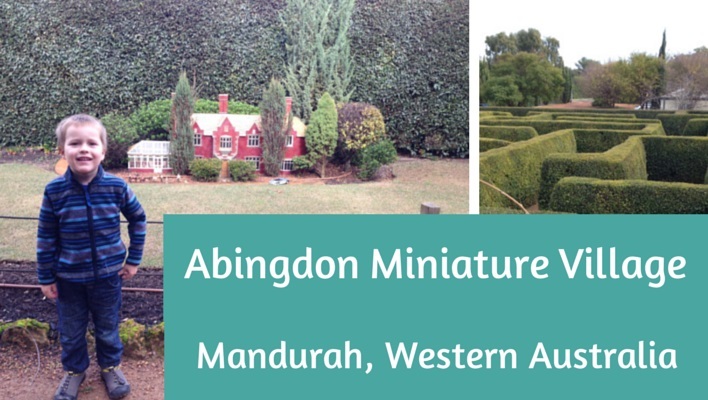 Our itinerary basically went in an anti-clockwise direction from Launceston, but of course whether you start in Launceston or Hobart really doesn’t matter – you can just pick up the trip in the middle. We hired a car and booked family-friendly budget accommodation like cabins in caravan parks (always good playgrounds in caravan parks!) and self-contained apartments. My reason for starting in Launceston was very simple: it is a slightly shorter flight from Melbourne to Launceston than from Melbourne to Hobart! After getting all the way across the country from Perth to Melbourne with our nearly two-year-old, I figured the less time spent on a plane, the better. But I’m sure it really doesn’t make that much difference! It was my second trip to Launceston and it’s a city I once briefly considered moving to when my boss in Perth moved over there (it was circumstances, not a lack of love for Launceston, that kept me away!). It’s a really pretty city and Cataract Gorge is impressive and a must-see. 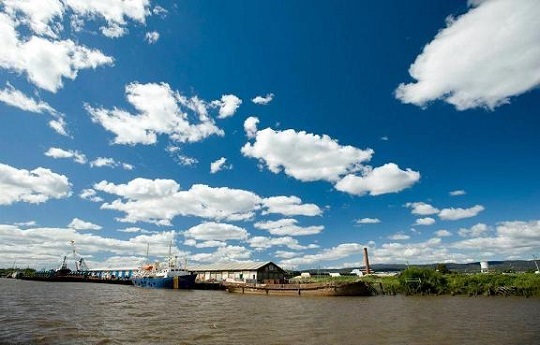 For our toddler, the highlight was a cruise on the Tamar River. It definitely helped the the lovely captain let him sit in his seat and “steer”. The first overnight stop was at Cradle Mountain, and my more detailed Cradle Mountain and Lake St Clair post gives you information on the hiking possibilities with toddlers plus the chance to see a video of a wombat (yay, I saw one in the wild!). We had what we thought were wallabies but were later told are pademelons (similar!) outside our cabin constantly and so you can imagine our son was pretty thrilled! I should warn you that this is perhaps the most frustrating spot in Tasmania in regards to having your toddler with you – if you’re strong (or they’re not too heavy) and you can hike with them on your back then you might be okay, but I was so keen to have a good long walk and couldn’t. Oh well, a great reason to go back again when he’s bigger, I guess! From there, we drove down to Strahan on the west coast. 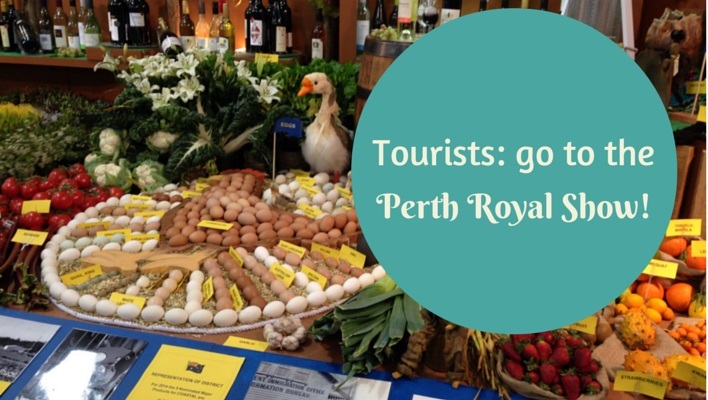 It’s a popular tourist spot but definitely far from spoilt, (and goodness me does it have a great candy shop!) and I highly recommend the Gordon River cruise – book early and ask for the special family spots at the front of the boat, where they also have a heap of toys! There’s also a fun train trip leaving out of Strahan and we met some families on the cruise whose young kids had enjoyed that a lot, too. We didn’t exactly have luck with the weather – hence our son’s less than excited expression in this photo – but it didn’t bucket down or really stop us doing anything, either. And a bit of rain is to be expected in Tasmania, I think! Heading back inland from Strahan, we visited Lake St Clair and then stayed overnight at a very out-of-the-way town – Bronte Park. There was nothing much to do here but go for walks and stare out the window over the beautiful scenery – and although this suited our toddler fine (the walks more than the window-gazing! ), you might want to consider somewhere more exciting for kids who need something to do. We were really after a more “nature” holiday than a city break, so we just spent one night in Hobart on this trip. We stayed out of town in a caravan park with a brilliant playground, and everyone was happy! We then moved down to the Tasman Peninsula – which I remembered from my previous Tassie trip as my favourite part of the island – where we explored both amazing natural formations like the Tessellated Pavement and the historic site of Port Arthur – all great with a small child, though the runaway highlight was the Tasmanian Devil Conservation Park. As you can see in the picture below, toddlers are the perfect size to climb around in their special “underground” view of the Tasmanian devils! And it’s a beautifully set up animal park in general. 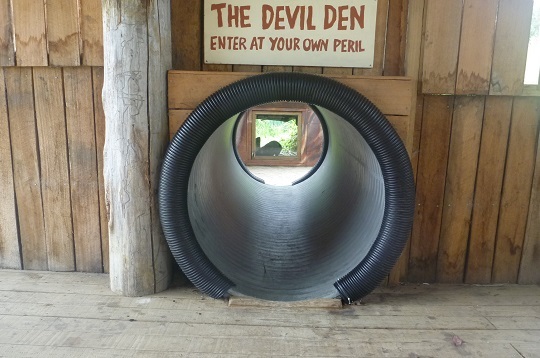 My son loved the Devil Pen – getting up close to Tasmanian devils, but safely! From the Tasman Peninsula we drove up the centre of the island back to Launceston, ready to fly back to Perth. The big tip I have for travelling to Tasmania with children would be to carefully consider what kind of accommodation will suit your family. Although we’d initially considered hiring a campervan (like we did in South Australia a couple of years ago – pre-toddler! ), the costs of hiring one that was large enough to be equipped with a children’s car seat meant that we looked to self-contained cabins instead, and we were very glad we did. We stayed in some magnificent cabins and apartments, mostly within campsites, and loved it. They had plenty of space for the small boy to run around, and were often stand-alone so no neighbours needed to listen to him if he woke up crying at midnight. 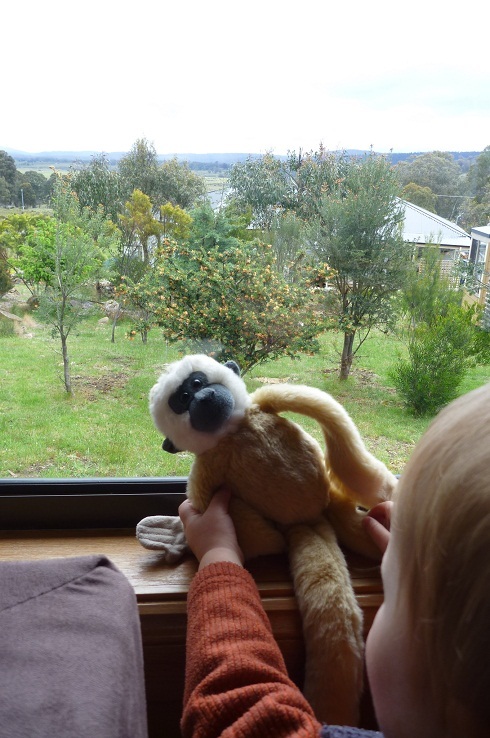 Our favourite accommodation turned out to be in the quiet town of Bronte Park – it was a full house, and full equipped, right down to DVDs and CDs, more kitchen equipment than I own at home, and our own garden – and importantly, a great window where our son loved putting his toys up to look out! 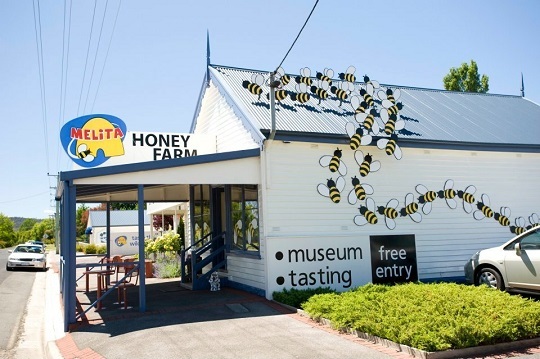 Tassie’s a fantastic place for a family holiday, with plenty to see and short distances to drive (compared to the rest of Australia, at least! ), and the only complaint I would have to make is the weather! We were there in late spring but we still had enough bad weather to several limit several of our plans, since we were focusing on lots of outdoor activities. But there are lots of different things to do with a toddler in Tasmania – so you can change your plan when you need. Overall, I’d say without hesitation, do go to Tasmania – but take your raincoat! I hope this post will help out some future family travellers headed for Tasmania – and if you’ve got more tips to add (especially for the cities, where we didn’t spend much time, and the east coast, which we’ve saved for next trip!) then please add them in the comments below. Thanks so much for this list! We just went through the same thought process with the campervan > holiday parks thing. Our baby is less than 1 but she is walking, so I’m putting her in the “toddler” category. Your suggestions are so helpful – thanks again! Ha yes she definitely qualifies then if she’s walking – an early walker, how tricky for travelling!! Hope you have a great trip. Hi there, I haven’t quite made it through all your posts, but we are planning our second trip to Tassie at the end of the year. We have been there multiple times, as husband has family there but will be the second time with a toddler. Our toddler will be almost 2 as well on the flight and we are also flying from Perth. Just wondering how you kept Mr almost 2 happy and occupied on the flight? I am DREADING the flying as our Mr is VERY active and has a very hard time sitting still!! It will be a red eye from PER to MEL, don’t know if we’re shooting ourselves in the foot doing that though. He will either sleep or chuck the biggest over tired tantrum! Oh Kay, I’m not going to pretend that almost-2 was my absolutely worst ever plane experience with my now Mr6! At that age, mine didn’t watch any TV etc, but had stopped napping, and it was horrific!! The best you can do is hope for a fairly turbulence-free flight so you can do lots and LOTS of walking in the aisles. I had a shocker MEL to PER with mine at that age and no spare seats around, him on my lap and it was terrible – but the best part is, eventually you always get there. Fingers crossed with your red eye he will sleep. My only real advice is to keep repeating the “this too shall pass” mantra! And it’ll be the last time he flies for free!! Thank a ton for this wonderful blog. It really helped me to plan our trip more accurately. You’re very welcome Renu, hope you have a marvellous Tasmanian trip!